Look what we found for you on Amazon! 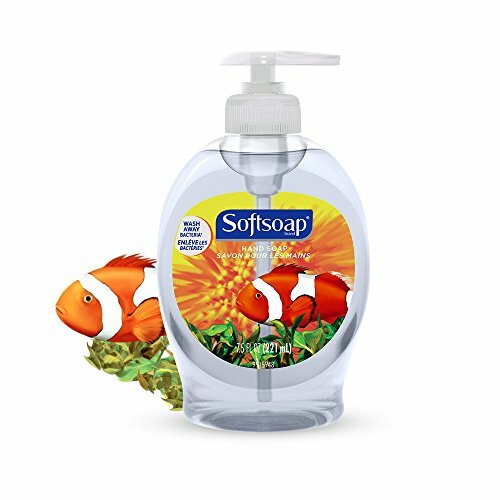 Hurry and get the Softsoap Liquid Hand Soap, Aquarium – 7.5 fluid ounce (Pack of 6) today for only $11.19 as low as $5.05 from Amazon when you subscribe to 5 or more items in the same month. Check out all of the recent Amazon deals here! There is no commitment with Subscribe & Save. You can cancel at any time! Plus, get free shipping!! Details here! Save up to 15% on reorders when you subscribe to 5 or more subscriptions in one month. Check out all of the Amazon deals here! Want it sooner? Choose one-time purchase & pay $5.94. Get FREE shipping (2-day for Amazon Prime members) when you purchase $25 or more of eligible items across any product category. Wash away dirt and bacteria with Softsoap Liquid Hand Soap, Aquarium, for good hand hygiene. The U.S. Center of Disease Control and Prevention states that keeping hands clean in one of the most important steps we can take. It is best to wash hands with soap and clean running water for 20 seconds. Enjoy delightful Softsoap brand product fragrances. Surprise your skin. Wow your senses. Buy the Softsoap Liquid Hand Soap, Aquarium – 7.5 fluid ounce (Pack of 6) from Amazon. Next articleWalgreens Coupon: Save 25% in Weekend Friends & Family Sale!